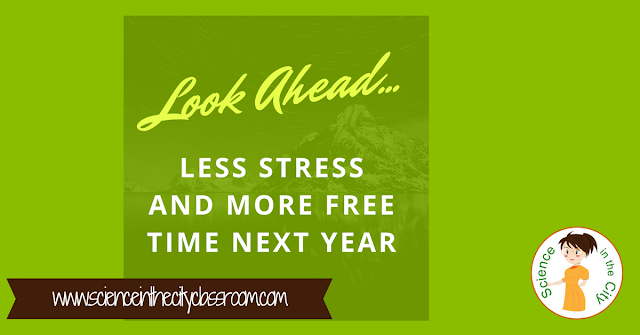 As you finish up this year you may be wondering what you can do to put yourself in a better position for next year, or to make things easier in September. I know you are tired now. 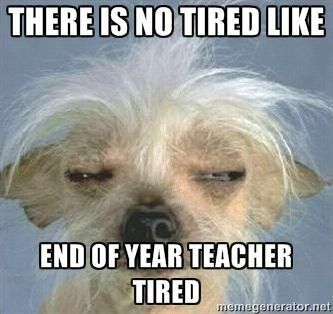 It's true....there is no tired like teacher tired! There are small amounts of energy that you can expend now, or even in the early part of the summer, that will make your life much easier in September! Exactly what those are depends on if you know what you will be teaching in the fall or not. Here are some ideas to get you started. If you know what you will be teaching you can really take a lot of pressure off those early fall days by making your photo copies for your first unit or your first week now! For example, the copier will be busy, probably jamming, running out of paper, and you'll be set with your copies already made! Finally, even if you don't know what you're teaching there may be some basics that you can photocopy such as a safety contract, a first day get to know you activity. Even those will take pressure off in September. That leaves you free time to take care of all the other crazies that you know will be coming up in the fall. If you don't know what you're teaching in the fall you can still save yourself time. I am often in this position. In this case it is a matter of setting yourself up for success. For example, make sure all your materials are put away neatly, in an organized fashion. Label them. You think you will remember but 6 months from now you very well may not! Decide if it will work better for you to put them away in kits, or if you want to put them away by type of material. Whatever you decide make sure they are organized. Another thing you can do is to do some cleaning now and maybe even set up basic materials. For example, I know that I have sets of materials that will be at each table. I have a pencil box with a couple pairs of scissors, markers, tape, etc. I go through those at the end of the year, clean them up, throw out of markers that don't work, replenish the colors, etc. When I pick them up again they are ready to go in the fall. If you have file cabinets or storage cupboards this is a good time to go through and get rid of things that you haven't used, or think you may not use again. Anything old, broken, really out of date, or just things that maybe where there when you moved in. This is your chance! Start off the year with a 'clean slate' so to speak, and ready for whatever may come! Depending on your school and your department, you may be in charge of materials or chemical inventory, That's something you can do now! You may be in charge of ordering new supplies, again that's something you can make a huge dent in right now. Even if you don't place your final order, if you start compiling a list and getting prices, it will be easy to tweak and submit the order when the time comes. On a different level, another thing you can do now to help yourself organize is simply to look back through your lesson plans and make some notes and reflections while this year is fresh in your mind. Its important during the summer to clear your mind, and really take a break. But at the same time you don't want to lose those ideas, memories, and reflections that you have now. You know what things went well, and what you want to change for next year. Are their units you want to reorganize? Sequences you want to change? A new strategy that you want to try? Or things that worked particularly well? Activities or strategies that didn't work? Now is the time to make those notes and changes, or even to layout a skeleton of the sequence that you want to use next year. 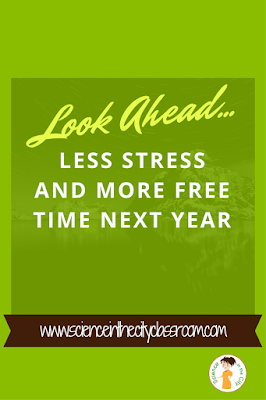 I believe it's better to do that now while this year is fresh in your mind then give it some time to percolate over the summer. If you have big projects that you know you are planning, such as a science fair, or a committee or club that you're involved in such as National Honor Society, Science Olympiad, or any others, now is the time to get lay the groundwork for those. That's one thing off your plate when you find out what you are teaching. 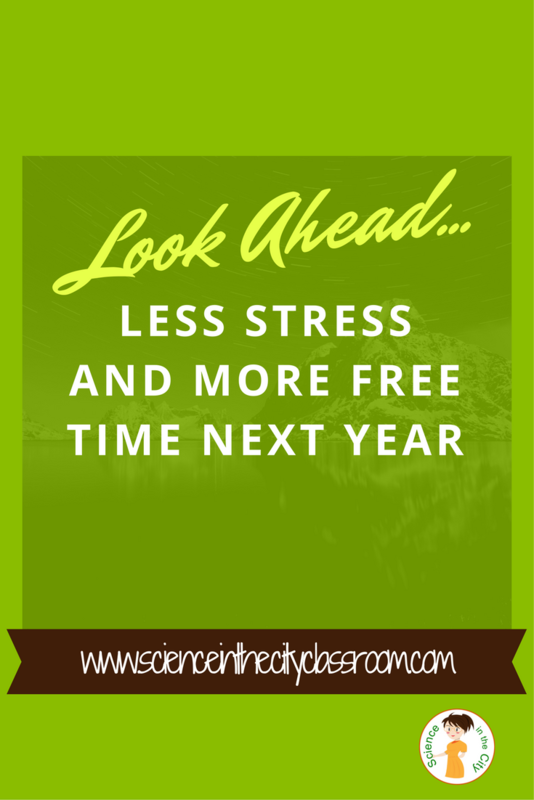 Please share with post with another teacher you know that could use less stress next year! !